As drones have surged in popularity, the terms used to describe them have flooded into the news. Words and acronyms like UAVs and quadcopters can be seen everyday on social media, often with no explanation of the difference between them. While drones, UAVs, and quadcopters are are all similar in meaning, knowing how to distinguish them is simple and makes the whole industry easier to understand the next time it comes up on local news or websites. “Drone” is the general term for all unmanned vehicles. They can be driven either by remote control, or by computers pre-programmed and placed on-board. Drones are a broad category of vehicles, referring not just to the popular recreational quadcopters seen constantly on TV, but even to vehicles like hobby RC cars and unmanned military copters. The word “drone” originally came from the U.S. military during its development of UAVs. The term is in reference to the United Kingdom’s original unmanned aircraft, Queen Bee. Some people in the industry distinguish drones as the pre-programmed aerial vehicle type, with no human operator on the ground, and UAVs as those aerial vehicles controlled by a human operator. However, this is not a universal definition. Drones and UAVs are generally interchangeable terms, as few people refer to other unmanned vehicles like RC cars as drones – there are more technical terms for each category of unmanned vehicle. Drones are used by corporations, universities, militaries, and civilians – as a category, they are not defined by their use. In the media, they have become a buzzword for both military UAVs and recreational quadcopters, but there are many other drones with countless other purposes. Whereas “drone” refers to anything from remote-controlled toy cars to military weapons, UAV – or unmanned aerial vehicle – applies specifically to the flying contingent of drones. UAVs come in a number of designs, including planes, helicopters, and quadcopters. Although UAVs can and do carry weapons like missiles, they are not identical to missiles themselves. Both missiles and UAVs are unmanned and aerial, but where missiles are designed to be destroyed during their operations, UAVs are designed to reused. Even UAVs that crash can be located, recovered, and fixed to fly another day. 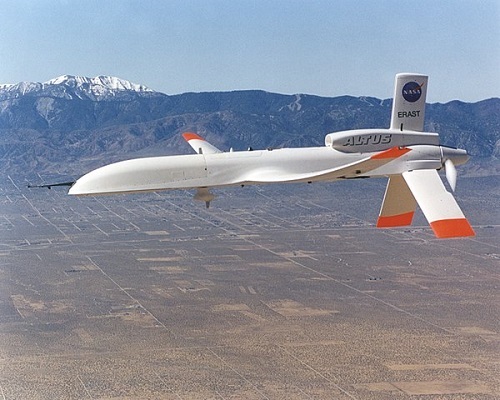 There is no typical size for a UAV (or a drone in general); military UAVs are often designed like small aircraft, while research drones can be small enough for one person to hold in their hands. UAVs used for military uses are generally much larger than recreational drones and made from stronger foams or alloys, however. Because drones and UAVs are synonymous in media, UAVs can be thought of as more complex than the average recreational drone (which is generally a quadcopter in design). Recreational drones typically shoot videos or photos for the human operator to view, while UAVs for commercial or military use have advanced sensors and may carry payloads of weapons or supplies. Advanced sensors on UAVs often map hard-to-reach locations or look for heat given off by humans and animals. 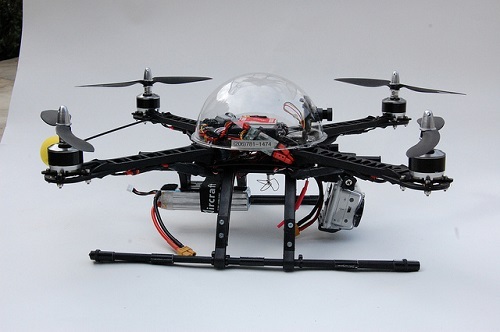 Just as UAVs make up a segment of drones, quadcopters are a portion of UAVs. Quadcopters are distinguishable from other UAVs by their four-rotor design. Specifically, quadcopters have four main rotors and no tail rotor; this distinguishes them from helicoptors (which balance with a tail rotor) and other coptors like octocopters with more rotor systems. Quadcopters are primarily for recreational use; the flying drones commonly seen in media used by civilians are usually quadcopters. These quadcopters have a camera for shooting aerial video or photography. Like any other UAV, quadcopter are capable of being used for other purposes, but recreational drones are almost always quadcopters. Quadcopters come in a wide range of sizes, from drones small enough to fit in the palm of a hand (or smaller) to those several feet long. They’re typically smaller than commercial or military UAVs, however. While quadcopters are not required to be remote-controlled as opposed to pre-programmed, most current quadcopters are the former type, and it can be inferred that a quadcopter will be controlled remotely. Drone and UAV both refer to the same machine when it comes to aerial vehicles. However, for many people in the hobbyist or UAV industry, drone has taken on a negative meaning. Because drone has become associated with military UAVs carrying missiles, many hobbyists and industry people prefer to use more specific terms like UAV. 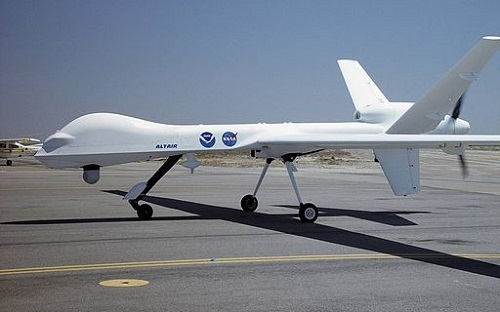 UAV is also used by the military and is preferred in official documentation to distance agencies from bad press. Hobbyists will also use terms like quadcopter in order to both describe their vehicle as specifically as possible and to distance themselves from the negativity of the term drone. Drones and UAVs, as general categories, are subject to a litany of regulations regarding air space. In the U.S., for example, the FAA (Federal Aviation Administration) regulates drones, while in Canada the regulatory agency is Transport Canada. For both of these agencies, there are limits to height and air spaces that drones may enter. Anyone who wants to use a drone for commercial purposes must get a license or registration. Small recreational drones like quadcopters face far fewer regulations. In both the U.S. and Canada, recreational drones under certain weights need no licensing or registration, for instance. Small quadcopters also have different air space restrictions, as they tend to fly to lower heights than commercial drones. Regulations for small recreational drones include that the drone must be marked with the owner’s address and name, that it must be flown within eyesight, and that it must be kept away from hazards and natural disasters. The regulations are dependent on drone use and weight. Drones, UAVs, and quadcopters can be thought of simply as animals of the same family – the same way a lion is a kind of a big cat, and a big cat is a kind of feline, quadcopters are a type of UAV, and UAVs are a type of drone. Quadcopters can also be generally distinguished from other UAVs and drones because of their use primarily as recreational vehicles, whereas other drones are also used for military or defense applications. While the term drone is sometimes still fluid, this hierarchical definition is in use by the industry and can adopted by anyone hoping to understand the world of drones a little more. Kelsey Robarts. "Difference between Drones, UAVs, and Quadcopters." DifferenceBetween.net. August 29, 2017 < http://www.differencebetween.net/technology/difference-between-drones-uavs-and-quadcopters/ >. Jim Fisher, “Drone Regulations: What You Need to Know,” PC Magazine, June 13, 2017, https://www.pcmag.com/article2/0,2817,2491507,00.asp. Nigel, “Drones, Quadcopters, UAV and UAS – What’s the Difference?”, Emissary Drones, October 14, 2016, https://emissarydrones.com/the-difference-between-uav-uas-drone-and-a-quadcopter. "Flying your drone safely and legally,” Transport Canada, July 17, 2017, https://www.tc.gc.ca/eng/civilaviation/opssvs/flying-drone-safely-legally.html. “What is a Drone? Drone vs Quadcopter,” Drone & Quadcopter, 2017, https://droneandquadcopter.com/what-is-a-drone/. “What is the Difference Between a UAV and UAS?”, DARTdrones, January 27, 2016, https://www.dartdrones.com/blog/difference-between-uav-and-uas/.